In 1957 the American poet Frank O’Hara wrote his poem “Wind”, dedicated to the composer Morton Feldman. A few years later, this time as a tribute to the singer and composer Joan Barbara, Feldman gets the poem and, in 1981, just finished one of the most interesting pieces of the twentieth century feminine voice: “Three Voices”. The score should ideally be performed by the same singer, pre-recording two voices and playing them together with the third live. In the presentation recording played by Joan Barbara, the singer explains how the three voices represent, in some way, the voices of three friends: the poet Fnank O’Hara , the painter Philip Guston and Morton Feldman, represented by the singing voice in live. Joan LaBarbara, returns the dedicatory of the piece and dedicated reading performance to these three friends voice. 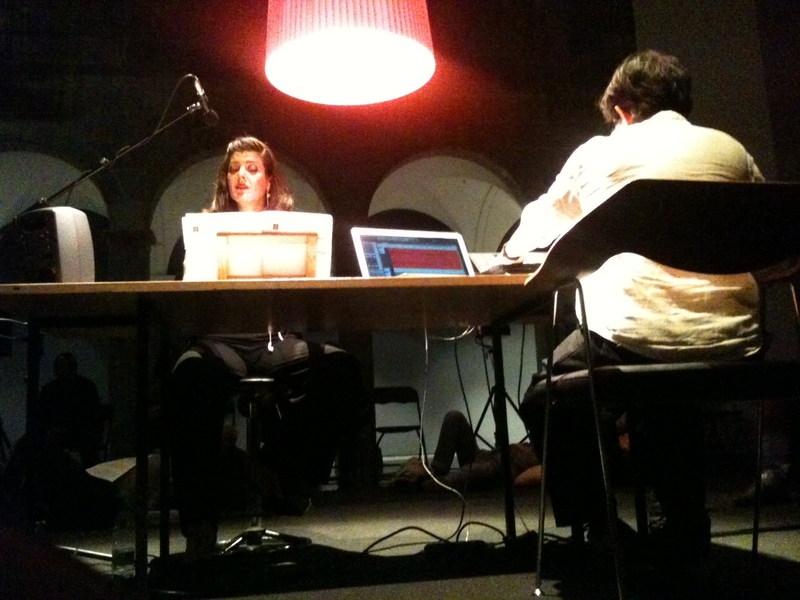 In the spring of 2014, I had the privileged to lead and recording María Hinojosa performing two of the three voices of the score, and June 30, we presented at the Centre d’Art Santa Monica in Barcelona our version, with the third live voice .